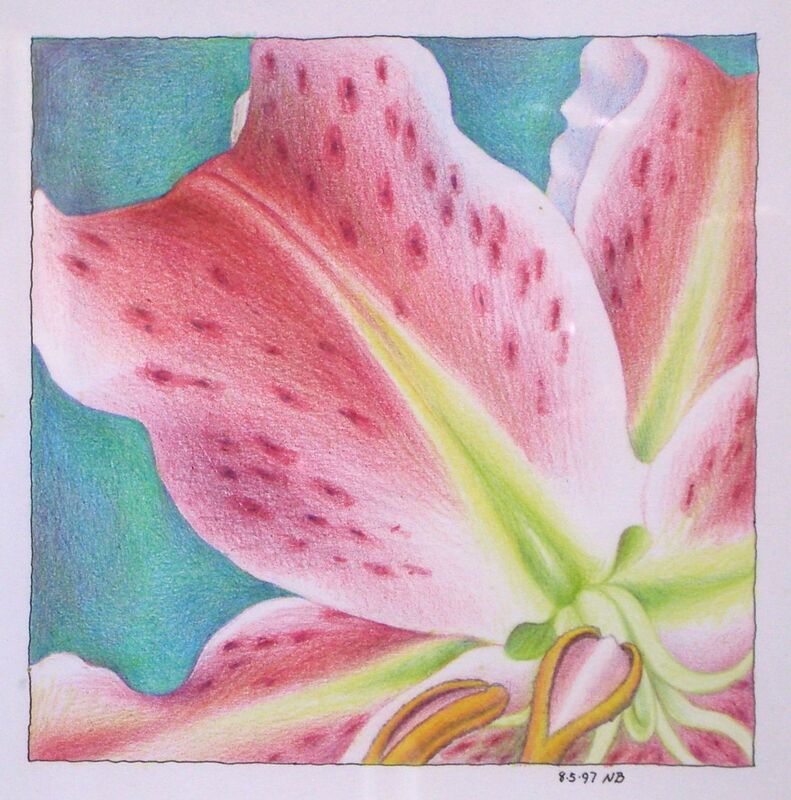 Stargazer Perennials shares with us the history and culture of the Stargazer. . .
and Wikipedia adds an interesting note about this plant, of interest to pet owners. . . This drawing was created using Prismacolor pencil on paper, a long-time favorite of mine. All the drawings of this set of sixteen, are 4.5" x 4.5", are under cream-colored mats and framed in honey-colored maple, ready to hang. Each framed piece measures 16.5" x 16.5". The series, which was completed in 1997, is for sale as a set for $3200. They are made available to you directly from the artist. More of my art for sale in my Etsy Shop. Paintings for sale in my EBay store.